Wrestler: Jordan Burroughs, because he is a boss. 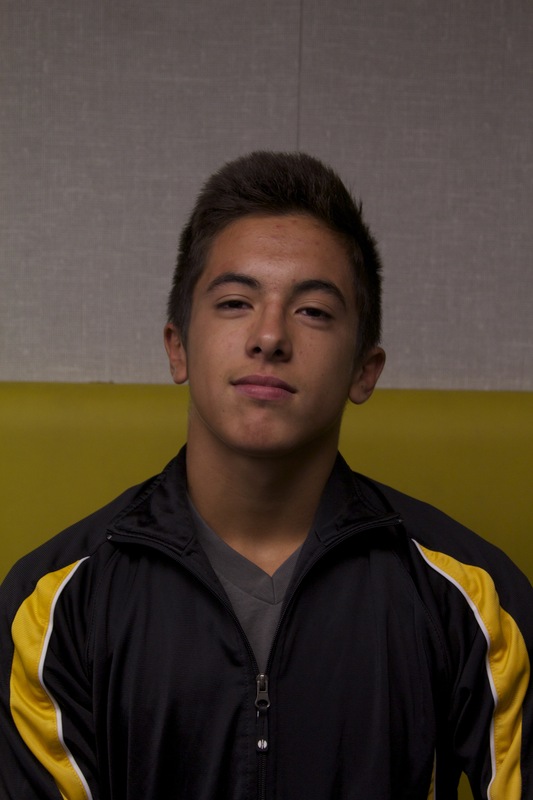 4) What do you like about wrestling, and about being on the team at Capo? 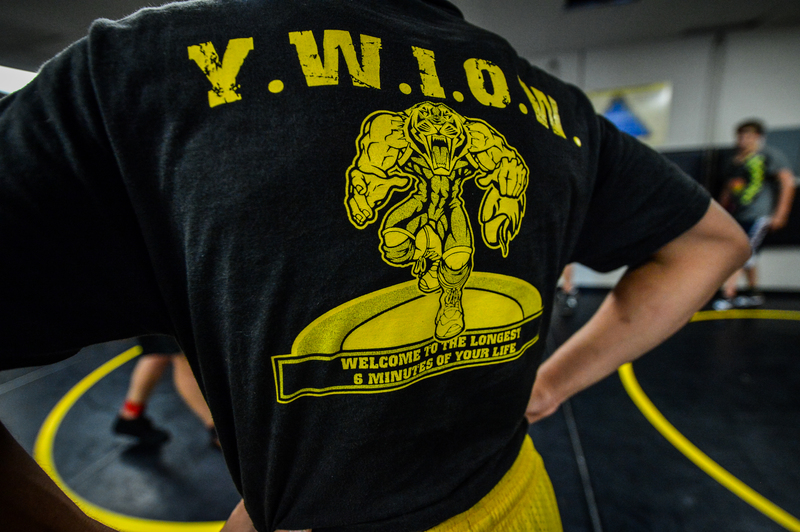 5) How did you become involved in wrestling? Why did you start? 6) What are your goals for this season? 7) What do you want to do after high school? *Big shout out to our scholar athletes for spring semester. 4.0: Ian Brault, Logan Farrand, Michael Davis, and Marshall Ferraro. Brault and Davis’s names will be put on our 4.0 wall (varsity lettermen who also get a 4.0). All gentlemen have earned 20 merit points for getting over a 3.75 gpa for spring semester. *Next, congrats to the following CV wrestlers who achieved perfect attendance spring semester: Brandon Hernandez, Giovanni Martinez, and Noah Scherner. These guys came to every spring practice and never left early/arrived late. 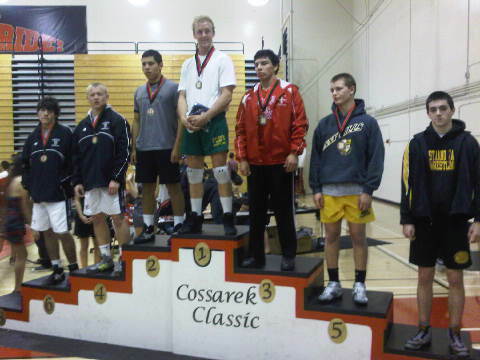 CV Wrestling was very busy this weekend, with all three squads competing in local competitions. 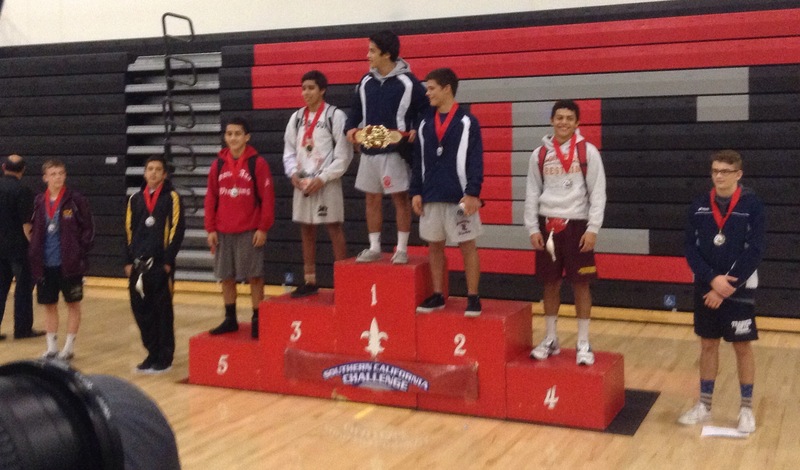 Seven freshmen competed in the Laguna Hills Freshmen tournament. All seven had great fun and really put their hearts out there on the line. Fellas, win or lose, we are proud that you got out there and gave it your all. That’s all we can ask! Nico Lizardi placed third at 120lbs. Good job Nico! The JV were “thrown into the fire” right off the bat, competing in a varsity tournament on Friday and Saturday at Corona Del Mar. They took their lumps, but got good experience. Keep your head high fellas. Zane Coley garnered multiple wins for the squad, as did Donovan Wilhelm and Jose Sarabia. Sarabia, stepping in at 152lbs, pinned three opponents on Saturday. This was not only his first varsity competition ever, but his first competition period! Jose, you’re a gamer. Way to go. Which brings me to: our Courageous Cougar of the week. It goes to none other than Jose. This is his first year of wrestling, and he’s got the eye. He’ll be stepping up to take part in the advanced practices (doubling up on practicing) this week. He refused to be intimidated: he just went out and got it done this week. Keep up the good work Jose. The varsity did quite well at the Cossarek Classic, placing 6th as a team out of 40 teams. The Cougars took home 6 medals, doubling our total from last year at this tournament. What’s more, we only had 12 wrestlers. Had we taken one more wrestler, we would have taken home a team trophy, placing ahead of powerhouse programs Santa Ana and Edison. Placing for the Cougars was: Mike Davis, 4th @106, Christian Hauser, 5th @120, Shane Johnston, 6th@ 132, Ryan Knecht, 7th @170, Russell Fitzpatrick, 3rd @182, and Victor Mendoza, 7th @ 220. Two other wrestlers came within a hair’s length of placing: Kyle Coley and Geoff Mellor were both one match away, and both lost in overtime in the medal round. You guys are *right there*! 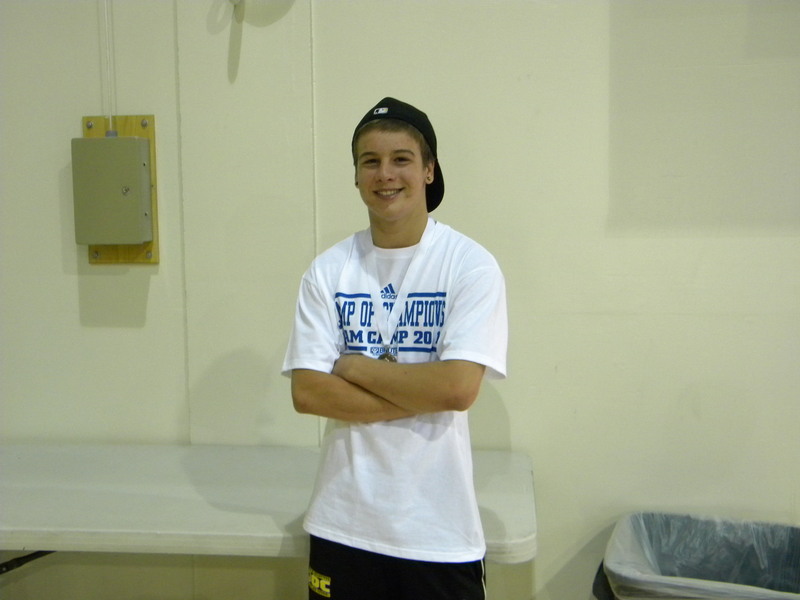 Furthermore, Matt Dix refused to back down, winning 2 matches at 160. What makes his performance so notable is that it was his first varsity outing (first varsity tournament for Davis and Mellor too), and he only wrestled in practice for a week and a half before this competition. Last year he sat out due to a broken arm, so its been a while. We are proud of that, Matt. Davis and Mellor’s performance bears mention, simply because it shows how much you can improve with a year’s work of offseason training. For these guys, there is no offseason: Davis wrestled well over 60 matches in spring, summer, and fall, where Mellor wrestled around 30. The hard work both of these guys put in showed up this weekend. Our “Tough Guy” of the week award goes to Davis and Knecht. Both wrestled with a fire in their belly this weekend. These guys are just scrappy. Both pulled off wins against guys that they shouldn’t have beaten, at least on paper. That should give them quite a bit of confidence going into the rest of the season. NEVER pick a fight with a little guy that don't talk that much...don't ask me how I know. Our “Most Aggressive” award goes to Fitzpatrick. As far as aggressiveness points (we keep track via a point system on how aggressive guys are in matches) goes, he easily outscored the rest of the team. After losing his first match, he pinned his next SIX opponents. This is another guy that wrestles with a fire in his belly. He wants it bad this year. Our first dual meet of the season is versus Irvine on Thursday. 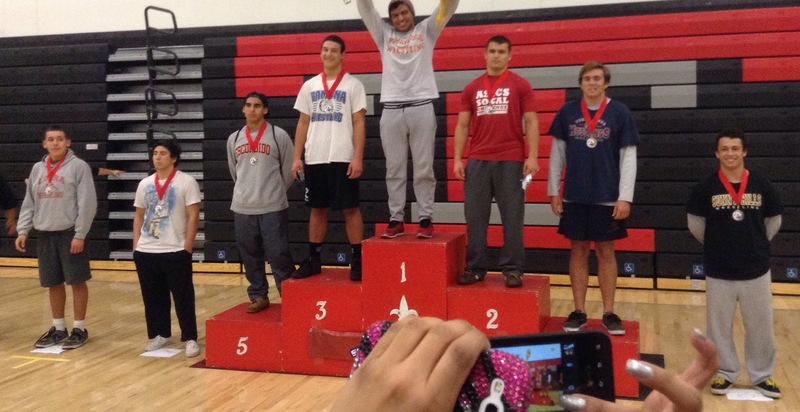 Should be a barn burner: Capo and Irvine finished neck and neck in the team standings at the tournament, and the Vaqueros have several quality wrestlers on their team. 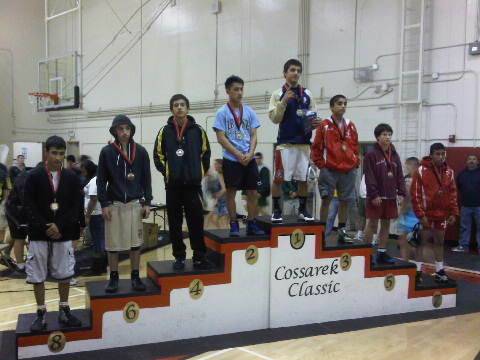 We had a few Capo wrestlers place over the weekend: Geoff Mellor placed 2nd and John Badger 3rd at the San Clemente Rotary tournament on the Frosh-soph team, while Juan Hernandez placed 5th, Christian Hauser 4th, and Matt Grovom 7th on varsity while at the ASICS Southern California Challenge. Good job fellas! This is Matt’s first tournament placing of the year; he is turning on at the right time! Zane Coley, one of our JV standouts, also wrestled tough at the varsity tournament. He garnered two wins, showing great heart by coming from 6 down and pulling off a last second win to make it to the second day. In addition, Jamey Goddard took great steps of improvement as well; he won four matches, and he had to display some gumption and determination to pull through in a few of them. Keep taking steps–it’s all about peaking at the right time! 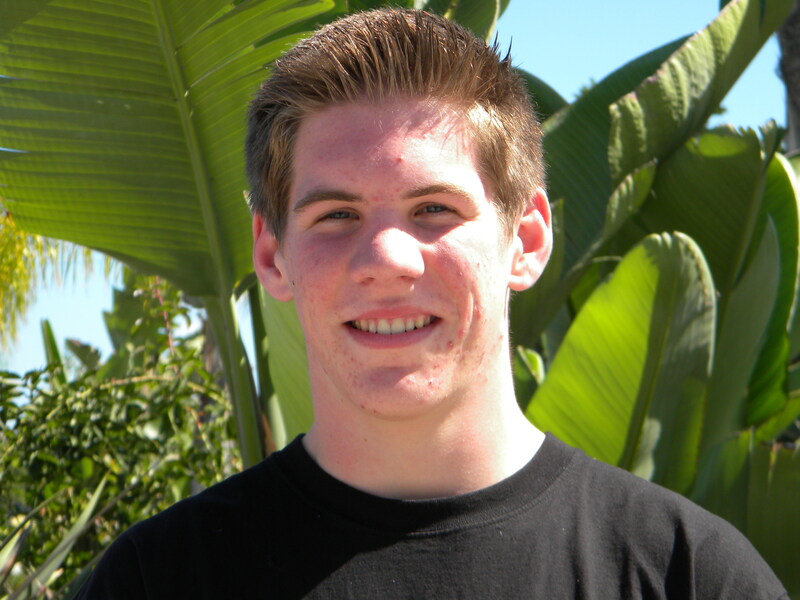 This week’s “Courageous Cougar” is Mike Davis. This guy showed up to practice this week and outworked just about everyone. During conditioning, he smoked the whole team, making it look easy. He is also one of the freshmen that has chosen to double up on practice by going to the Frosh-soph and upper level practices back to back. Keep up the good work, buddy! 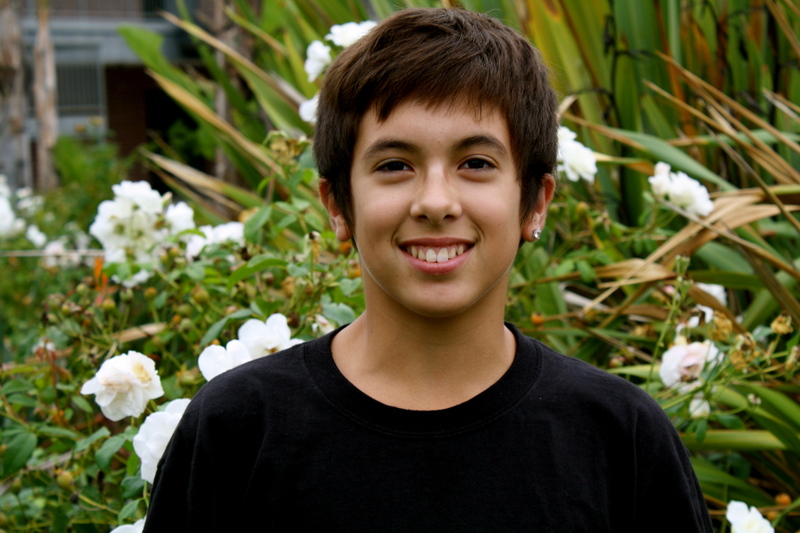 Don’t let the “pretty boy” smile fool you; this kid’s an animal. Competition-wise, we have some important meets this week. The Laguna Hills dual is away on Tuesday, and the varsity competes at Five Counties this weekend at Fountain Valley High School. For those that don’t know, Five Counties is one of the toughest tournaments in the nation, rivalling tournaments like the Ironman and Beast of the East out in the midwest. Let’s just say that if you place at Five Counties, you are legit. The lineup for Five Counties is the same varsity lineup for Laguna Hills. All varsity wrestlers will go to Five Counties. Bus times and start times are on the schedule.